Vertical gardening is a very special type of gardening technique that utilizes numerous resources to allow the plants extend upwards rather than growing along the garden surfaces. In this technique, the plants grow upwards vertically without any frame or support. 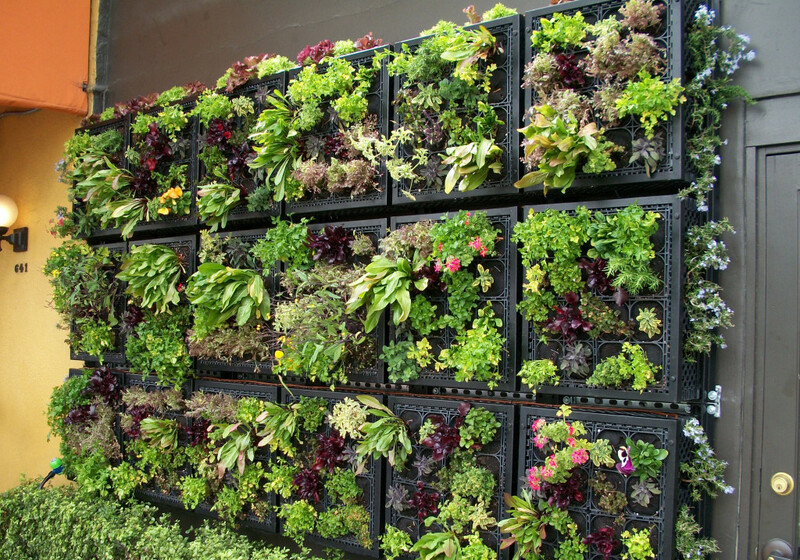 Some of the commonly used plants for vertical gardening include ivy, cages, etc. The vertical gardens are very impressive and beautiful. It is an ideal way to maximize your garden space. In order to make it successfully, you need to know the vertical gardening basics. You can carry out the vertical gardening process by yourself without any expert knowledge. 1. How to make a vertical garden? 2. What is the growing medium? 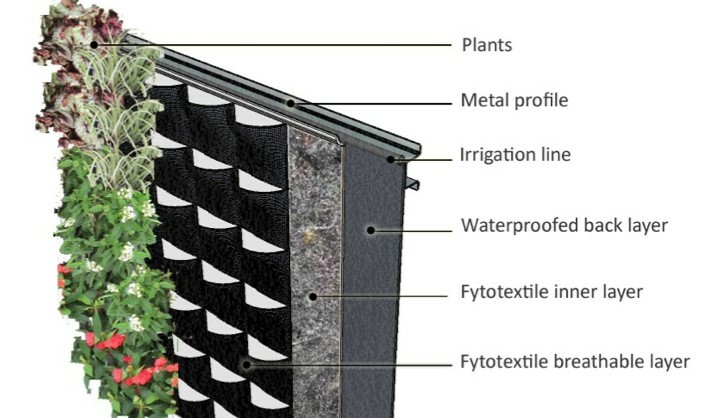 The panel or frame behind is the backbone of your vertical garden. This frame forms the basic structure with which everything is attached. You can also make your own gardening frame or can even buy a pre-made one. 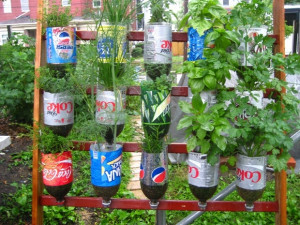 You can use mesh or metal to make the vertical gardening frame by yourself. You need to choose a corrosion-free or rust-free metal for this purpose. The frame structure should be very strong and durable. The frame should be highly water-resistant since it will be in constant contact with water. You can use a free-standing frame or even attach it to the wall. That wall must be sturdy enough to support the entire gardening structure. Care should be taken not to damp the walls and cover it with a waterproof material. 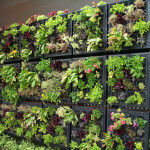 There is a wide range of choices for the growing medium of vertical gardening. The non-organic growing media are very commonly used for this purpose. Examples of such media include hessian or any other textile, felt, etc. to hold the vertically growing plants in the garden. You need to attach one textile sheet as the background and then staple the additional textile pieces to create the pockets where the plants will grow. The plant roots will grow via the textile. You need to create a well-defined irrigation system for proper growth of the plants in your vertical garden. A reservoir or a water container is needed to make the irrigation system. It will run along the base of your gardening frame. You also need a filter pump along with the reservoir to remove extra water. You need to add sufficient piping to the pump to connect the various components of the vertical gardening system. Series of tiny holes are needed to be made in the piping to absorb water. The entire water running system should be evenly distributed throughout your garden. You can extend the pipe back to the reservoir is order to allow the surplus water back to the main reservoir system. Thus, this surplus water is not wasted and will be re-circulated for gardening purposes. You always need to avoid water clogging at the roots and stems of your plants, since it might cause decomposition of the plants. Thus, always apply a proper drainage system to your vertical garden. If you do not have enough room or space in your property for gardening, then the vertical gardening technique is ideal for you. Tomatoes and vegetables can also be successfully harvested in the vertical garden. Use organic fertilizers rather than the chemical ones for your garden. It will cost you less and also provide proper nutrition to the plants. The plants in your garden always need sufficient light energy for proper growth. If there is less light in your vertical garden, you can reflect more light energy with the help of reflective materials like Mylar. It is always advisable for you to keep friends closer to your garden in order to take care of it. There are many miniature varieties of vegetables and fruits which are more suitable for your vertical garden. Some examples of these kinds of plants are dwarf melons, cherry tomatoes, zucchini, mini bell peppers, etc. You also need to prefer the plants which require lesser light to grow for indoor vertical gardening. For example spinach, lettuce, radish plants, etc. Thus, you can create an ideal vertical gardening with the help of the above-mentioned tips, tricks, and methods. There are many different methods you can use for gardening vertically. Most of them allow you to use very inexpensive materials. Sometimes you can even find these materials for free! PVC Pipe PVC pipe works great for vertical gardens. Just cut out holes for plants and add soil. Use small plants like lettuce or herbs. 2-Liter Soda Bottles Soda bottles, which you probably have plenty of anyway, work great for making a vertical garden. Shelves Any kind of shelves will work as long as they allow drainage and plants can get enough sun. Wire rack type shelves are perfect for this. Rain Gutters Attached to a wall or fence, rain gutters can hold smaller plants like lettuce, radishes, herbs, etc.